Cliffs Northshore MIne | Copyright © 2011 Cliffs Natural Resources Inc. 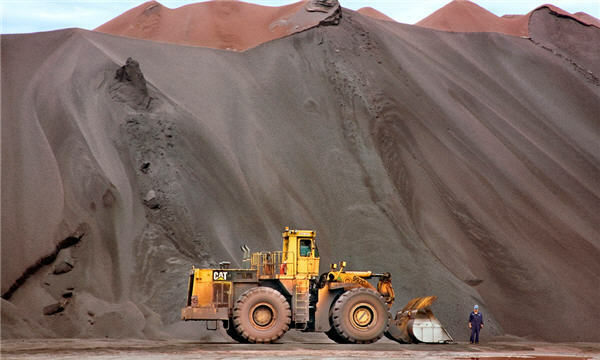 Activist hedge fund Casablanca Capital revealed on Tuesday that it has acquired 5.2% of iron ore miner Cliffs Natural Resources, making it one of the company's biggest shareholders. Casablanca isn't taking the backseat: In a lengthy public letter, the firm has called on Cliffs to implement a series of recommendations including spinning off the company's international assets, doubling the annual dividend paid to shareholders and changing the corporate structure to a Master Limited Partnership (MLP). Casablanca believes Cliffs is "significantly undervalued" but that it has "significantly underperformed both its peer group and the broader market in recent years," calling the miner the S&P 500's "biggest loser" for most of 2013 and pointing to its stock price that has lost more than 80% of its value since mid-2011. Not wishing to add insult to injury, the investment firm said it "recognizes that the current management team and many Board members were not responsible for these decisions." Casablanca wants Cliffs to spin off its international assets in Canada and Asia in order to take advantage of the differences between the global and domestic iron ore markets. The miner's US assets are, according to the investment firm, insulted from the Chinese slow down and other factors affecting global iron ore prices. "By separating its international assets from its core, low-risk U.S. business, we expect Cliffs would provide investors with a reason to appropriately value all of its assets," Casablanca wrote. The hedge fund managers also want to drive more profit to investors. They're urging Cliffs to convert to an MLP structure – which would provide a bigger payout to shareholders – and to immediately double its dividend payments. "The steps outlined above, taken together, would result in an implied midpoint valuation of $53.00 per share—over 2.5x Cliffs’ current market value," Casablanca wrote. Speaking with CNBC on Tuesday, Casablanca Capital co-founder Donald Drapkin said that the Cliffs' executive board doesn't bear the responsibility for the stock price plummet and that this was their "chance to be heroes." Drapkin says the US assets in the Great Lakes are "protected" and are "mistakenly lumped in with the China slow down." As for Cliffs' reaction to the recommendations, Drapkin believes they're "willing to be constructive." "Quite frankly we're happy if they have a different structure that creates the $50 a share that we're looking for," Drapkin said. "But our plan works." Cliffs issued a statement saying that it "welcomes open communications with all of its shareholders" and "looks forward to continuing the dialogue" with Casablanca. The miner's share price gained more than 2% on Tuesday to trade at $19.81 per share.